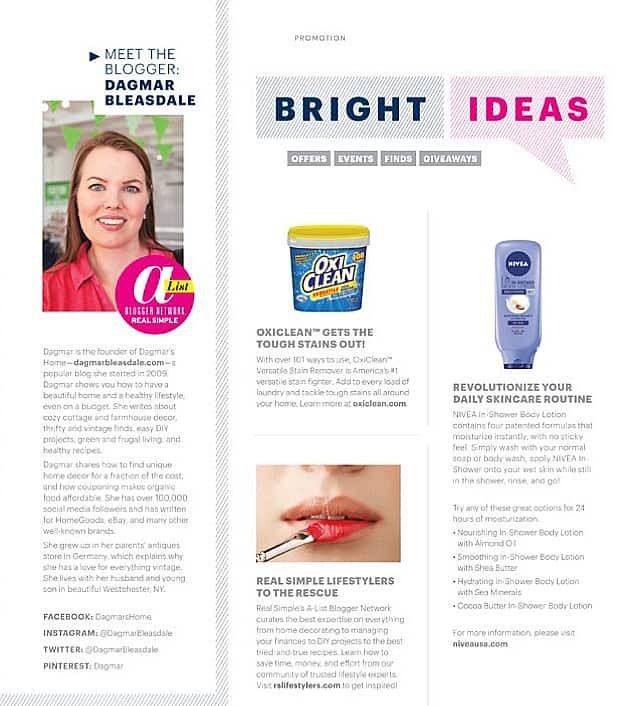 One of my lovely Dagmar’s Home readers surprised me with an email today: she sent me a picture of the Real Simple magazine page I’m featured on! 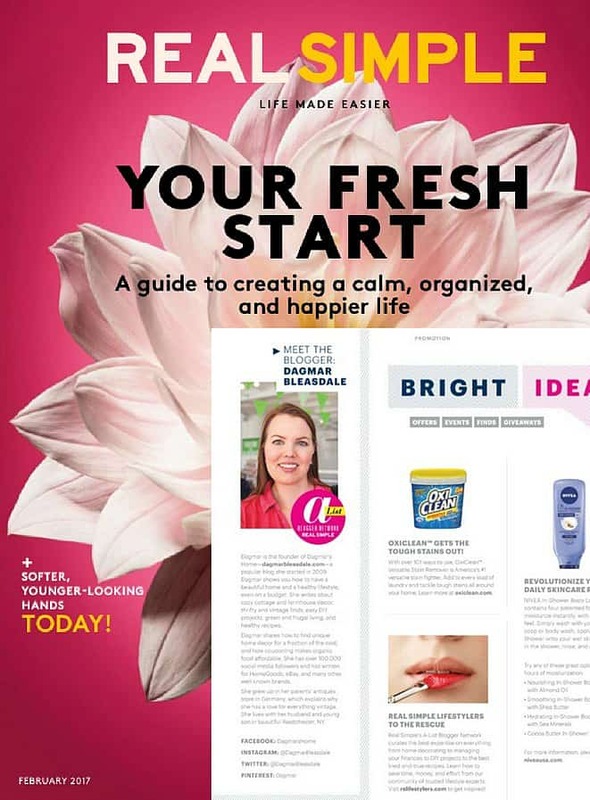 Real Simple made me one of their RL Lifestylers on their A-List Bloggers list last year, which is such a huge honor because Real Simple is one of my favorite magazines. It’s the first magazine I’ve ever subscribed to years and years ago, because I loved everything about it – the helpful tricks for everyday life, the easy recipes, and the stories. I have a degree in advertising and marketing, and Real Simple has also always appealed to me because of their layout and typography. It’s a clean and “real simple” look, kind of how I designed my blog. 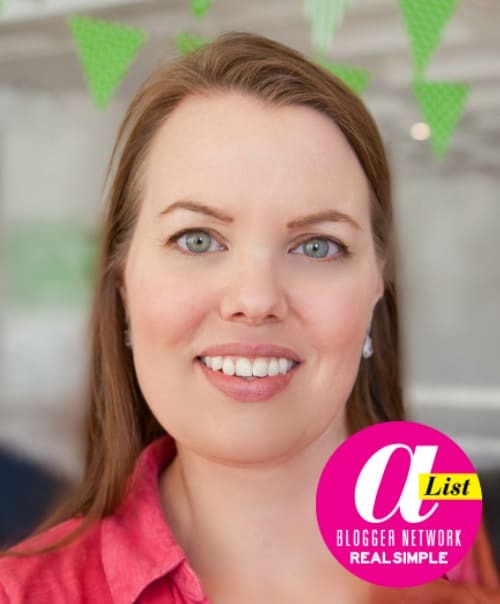 We are 26 RL Lifestylers on the list, and they are all top bloggers, so to be mentioned alongside them is quite awesome. A few months ago Real Simple got in touch about featuring me in their February issue, and here we are now: it’s on the newsstands and online starting today. I’ve been blogging since 2009, and having Dagmar’s Home featured in such a huge magazine is definitely a highlight for me — 2017 is starting off with a bang! 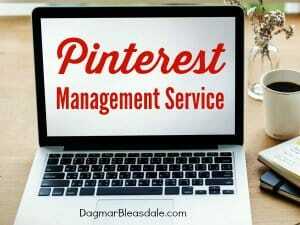 I’m hoping more people will discover Dagmar’s Home and enjoy my easy and affordable home decor and DIY ideas, plus tips for a healthy lifestyle on a budget. Just as an example, last week I saved over $80 by using coupons and the reward card at the supermarket — and I mostly bought organic food. Anyone can learn how to do that. Thank you so much for featuring me, Real Simple, and a special thank you to Sara Driscoll from Time Inc. for putting together the article. I also want to thank my friend Kelly Schwark, who took that picture of me at an HGTV event. That is so awesome. Congrads girl. Thank you so much, Judy! So great that you have been to Germany and enjoyed it. I am so happy for you, Dagmar! And you [email protected]@k fabulous! Congrats! Thank you, Rita! You are so sweet. Wow, Dagmar, that is so awesome. I love that magazine. What an honor. you are in the big league now.